Our range of coir and polyprop matting is renowned for its quality and if looked after, will provide many years of use. 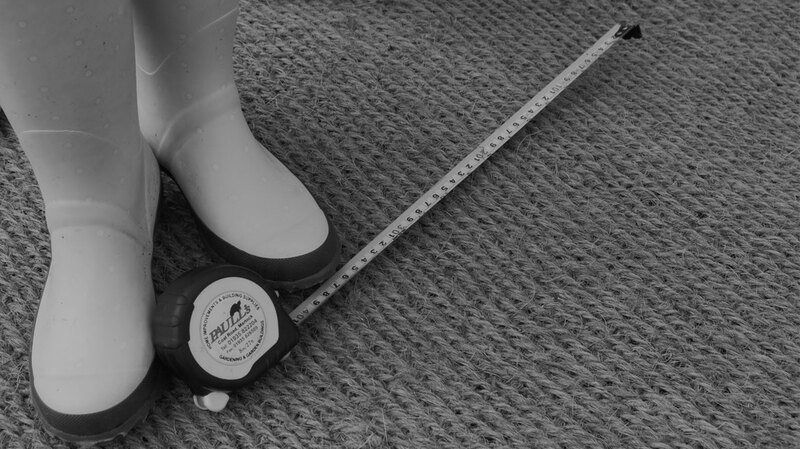 Below are our top tips for fitting some of our most popular forms of matting. Sit back and admire another easy installation of matting! Drop into well or freestanding if the shape is true and skip to step 7. If trimming is needed please continue to step 6. Go for a walk, come back and wipe your feet on another easy installation! Optional first step; Laid DPM on ground, trim to fit with a sharp knife. Working your way down the first outer length edge, one skewer or peg every 50cm until you get to the binding at the other end, pulling the matting tight as you move.